I wanted to share with you guys how we store my husband’s ties. It’s very simple, decorative, and creative! 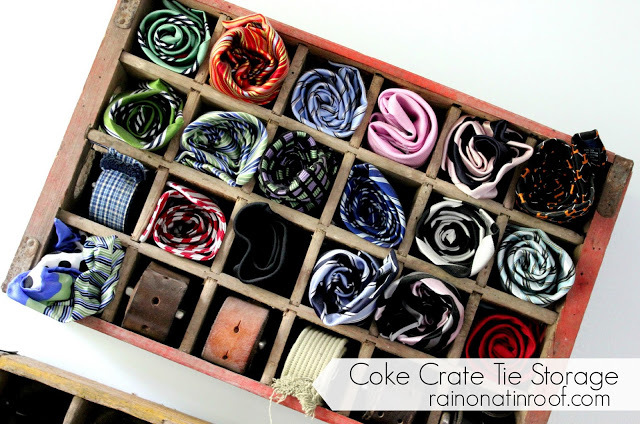 A Coke crate tie holder! I must admit, this was not our idea. A friend of ours uses this method and showed us. That Ponder is a genius. But, don’t tell him I said that! As you can see, he also uses it for his belts. 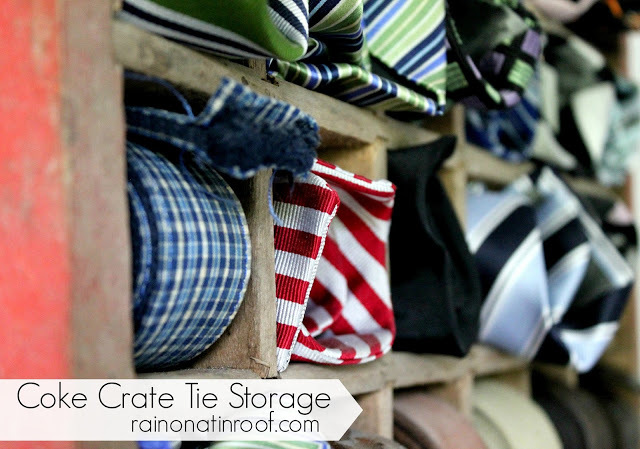 How does your hubby store his ties? That is really neat ! My hubby barely ever wears a tie …..it’d work for socks too I’m sure but it wouldn’t be half as cute & colourful ! It would work for socks as well! Hadn’t thought of that! Diana, thanks! Headed your way to link up now! What a great idea! 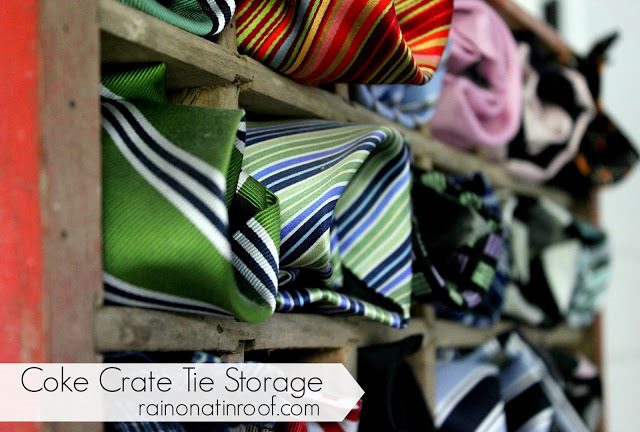 My husband usually throws his ties in the bottom of his side of the closet and it drives my crazy! I love the crates and it looks so cool with all the different fabrics in the holes. So clever and awesome…I may have to steal this idea haha! Thanks, Our Neck of the Woods! We love the effect of all the different colors in the crates! This is great, my husband has all of them crammed on a hanger which takes up about a foot of the closet. Thanks for sharing this great idea on “I Gotta Try That” Have a great New Year! Thanks for stopping by, Marcie! That’s right, Carrie! If ya gotta have ’em, make ’em decorative! Thanks for linking up. Now following via GFC & FB! Thanks, Diana! I’m following you as well! Do you have a FB page? It works great for us, Kady! Thanks for stopping by! I’m headed over to your blog to check it out! Jenn, Thanks for the invite! I just linked up! Kassi, thanks so much for the feature! 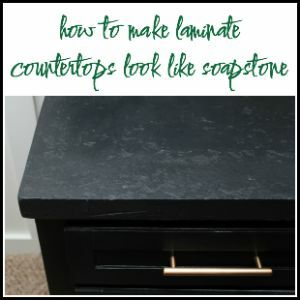 This is the featured post this week over at Frugal Crafty Home! I loved this project so much! Hope you come back this week to link up! Wow! 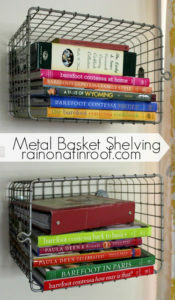 Cool storage idea! Too bad we don’t have those boxes here around:-) Have a nice week! Mandy, thanks!! Glad you like it!! And I’m SO happy to have you as a follower!! Yay! I’m so happy! Thanks so much! Such an awesome idea! I’d just be so tempted to remove the ties and put something of MINE in there instead! haha! Well done! Thanks, Funky Junk! 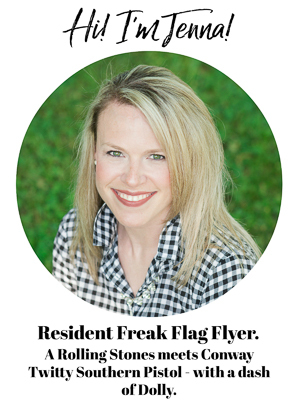 So glad you stopped by and thanks for hosting your parties! Thanks! Happy you dropped by! 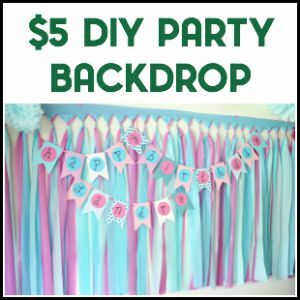 I will head over to your linky party! This is so creative! I love it! 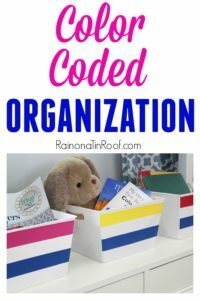 Thanks for linking up to the “Organize It” party!! Thanks, Tonya! Simple organization! Thanks for hosting your party! Great idea! 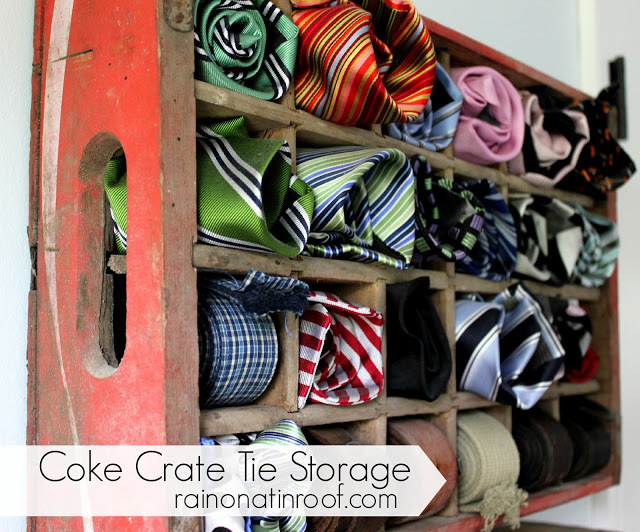 I love old Coke crates and this is a fun way to use them! Randi, thanks! It works great for us!! So happy you dropped by! Mandy, thank you SOO much!!! That makes my day! Whoot whoot! Thanks so much, Nichi! What a great idea! We’re going to have to use this at our house. Thanks for sharing! Thanks, Emily! So happy you dropped by! love this – thanks for joining the clean it party! Carmel, thanks so much! So glad you stopped by! Where would I find these old crates? Sue, I have found them at antique stores and flea markets many times. They range from $10 – $25 usually. hi there! 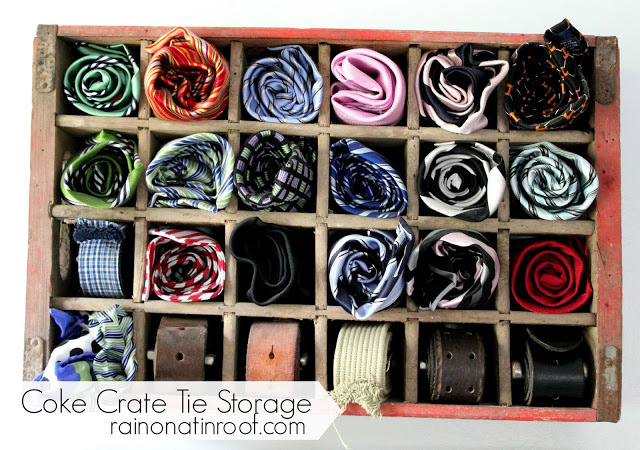 I love your crate idea for ties and belts! Could you tell me where I could find a coke crate?? Hi Shannon! I usually find those at yard sales or antique stores. 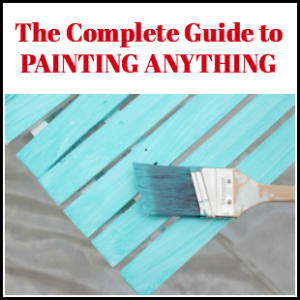 You could also check Ebay and Etsy – hope that helps! I really like this idea and want to do it but am not so handy. What did you use to hang it to the wall when you were done? Hey Melanie! We located a stud in the wall with a stud finder and screwed the back of the crate directly to that stud. Hope that helps!